Wandering up the hill photographing anything that moved—or didn’t—the sunny skies started getting dark, providing a great backdrop for Creator photos. We had just enough time to visit (and photograph) Ogygian, Dan and Flick, and Delay of Game before the skies opened and everyone dashed to the big barn to keep dry. Luckily, the Old Friends ambassador, Little Silver Charm, was in the big barn and ready to come out and greet the guests—as long as we had carrots. His tail was photographed, as were his ears and mane. Even his bucket of carrots got a close-up. I’m not sure there was anything in the barn that was NOT photographed! 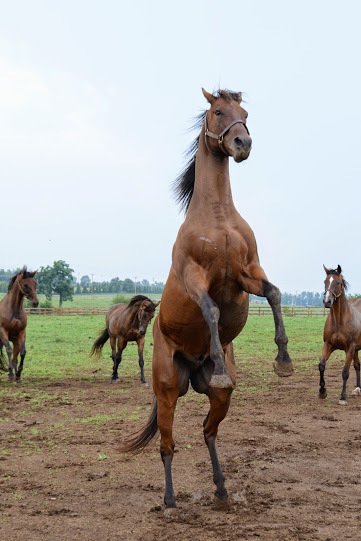 Meanwhile, Rapid Redux was putting on a show of his own, dashing around his paddock in the pouring rain, approaching his run in shed carefully, then dashing in out of the rain, only to fly out again a few minutes later. In a matter of minutes, our dry, dusty farm was turned into a mud pit. As the rain moved away, a cool breeze blew through the farm. After the heat of the morning, it was quite refreshing. The horses thought so, too. Boys will be boys and we had a ton of them in our viewfinders. 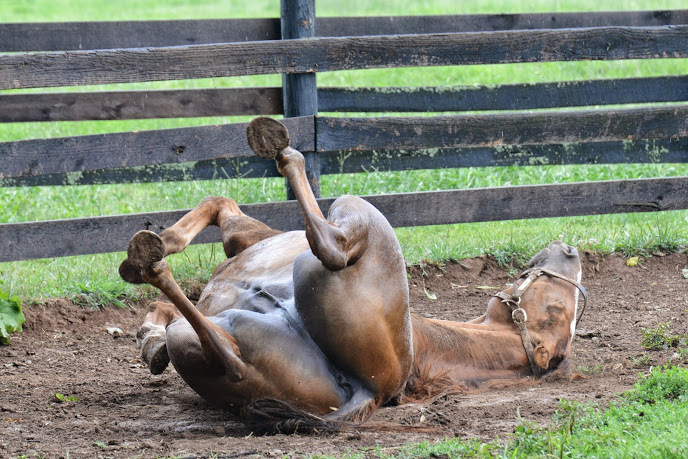 Mud and geldings—need I say more? First we were treated to synchronized rolling by Futural and Sea Native in their paddock. 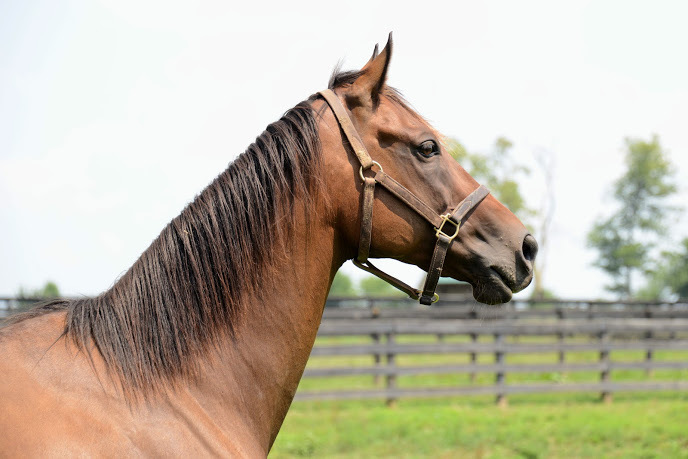 But Rapid Redux just could not stand to be ignored. 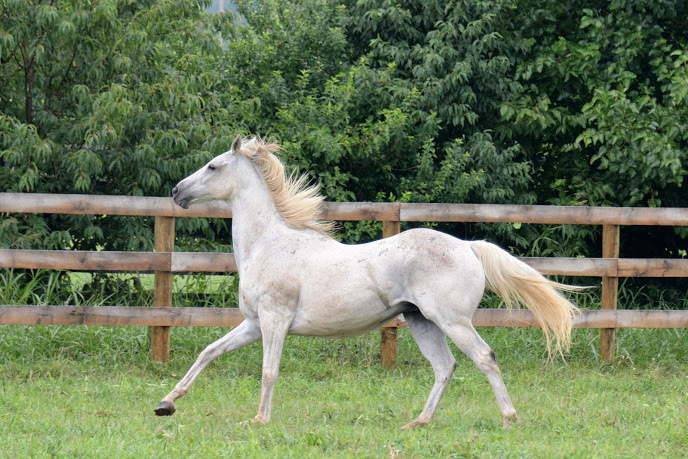 He raced around his paddock, dropped to roll, then leaped up and bucked his way around his paddock. 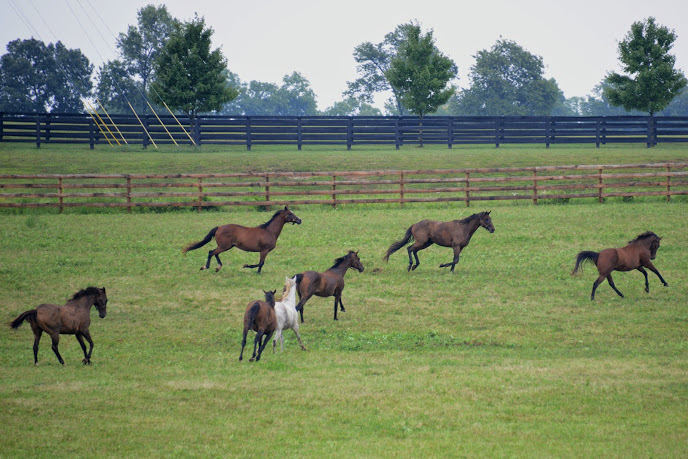 Some of the photographers noticed that the big paddock on our new annex had a lot of active horses and headed over to see what was going on, camera shutters flying. Rapid Redux has a roll. This new, large paddock contains the horses that lived in two paddocks on the “back 40” of the farm for several years. Seeing all these horses that I have known for a long time horsing around and being horses—well—it really touched my heart. Included in this herd are Cherono, Kudos, Ball Four, Bonapaw, Affirmed Success, Boule d’Or, Northern Stone, Mikethespike, and Lion Hunter. I know I am forgetting a couple of the boys, but they really put on a show for the cameras. A lot of paddock shuffling has been going on since the new paddocks were added and the remainder of the “back 40” was finally fenced. 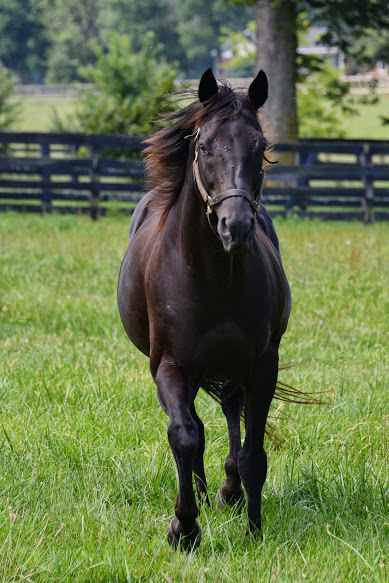 As our old “back 40” herds moved to the new paddocks, horses that have been at some of our satellite locations now live on our main farm’s “back 40.” Also, Eclipse champion mare Hidden Lake, moved from the big mare paddock, starting a two-mare herd of her own with Ava Lotta Hope. When asked why she wanted a different paddock, Miss Lake replied that those geldings in the back paddocks were partying all night and she just could not get her beauty sleep. 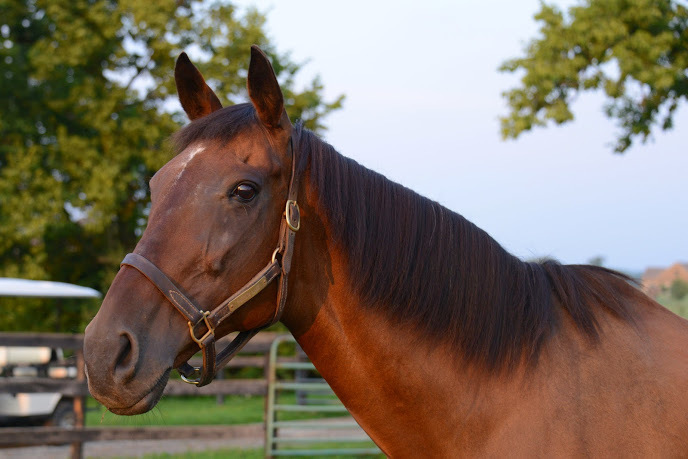 Some of these new boys who have come from satellite locations and can now be visited in the back or side paddocks at Dream Chase include Tinner’s son Riva Way, Cappucino Kid, Diamond Stripes and Ukiah, 1999 Canadian Horse of the Year Thornfield, and 2002 Derby runners Easy Grades and Lusty Latin. No wonder there’s so much partying. So to set the stage, imagine a bunch of little boys who have been cooped up inside. Suddenly, they are let outside en masse to burn off some energy—in the mud. That is the sight that greeted the camera club as we reached the big paddock. All the horses were at the fence, a couple of them wrestling and trying to take off each other’s halters. Others were rolling in the mud then leaping up to run around. Cherono decided that he should just rear repeatedly. Show off! Kudos had a really good roll and then decided to just lie there for a while watching all the other kids at play. It seemed like there was a protective circle around him as horses dashed every which way, Cherono was still rearing, and Kudos was just watching it all—then it was time to roll some more and leap up. 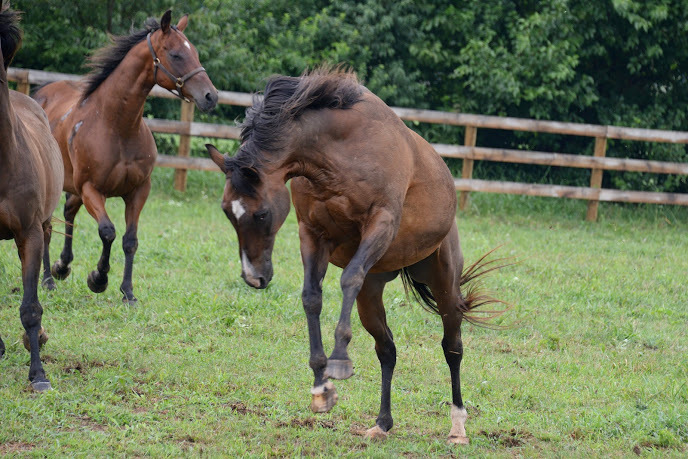 Suddenly, all of the horses took off and scattered across the paddock. It looked like the show was over, so we began to head back to the main part of the farm. Cherono rears some more. Ball Four watches. 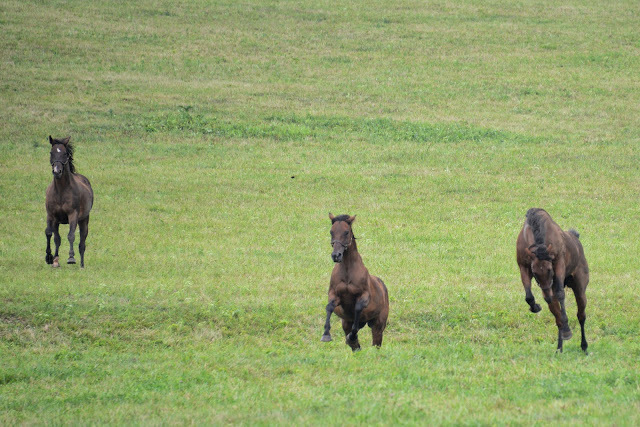 But wait—far across the paddock an impromptu race formed. Cherono took the early lead, with Lion Hunter, Bonapaw and Ball Four bunched right behind him in the first flight. The others bided their time several lengths back. Rounding the turn, Bonapaw made a menacing move to draw even with Cherono, but Lion Hunter blew the turn and carried Bonapaw to the outside rail. Down the stretch and it was Cherono and Ball Four running head and head over the rolling track. Cherono was leaping and bucking alongside Ball Four as Kudos made up a little ground. With a sudden surge, Ball Four put his head in front just as they crossed the finish. Lion Hunter flew home to catch Kudos for the third spot. Bonapaw was fifth. What a race! Once the field was across the finish, they paraded in front of the crowd for more photographs. Finally, the show was over. While all that excitement was going on over in the side paddock, Mixed Pleasure was calmly grazing in his own paddock next door. I think he was keeping an eye on the youngsters. Even after all the victory carrots had been handed out, there were still some shredded carrots for Mixed Pleasure. Luckily, I had saved a few carrots or else Gulch, who also came over to visit, would have been very disappointed and let us know his displeasure. Sarava tried to convince us that we had not visited him yet. 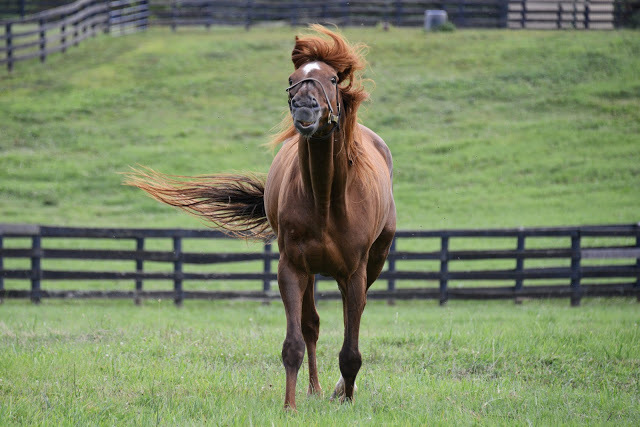 The camera club was wise to him, but he did manage to snag a carrot from Gulch’s share! Finally, the camera club’s three hour tour was over. 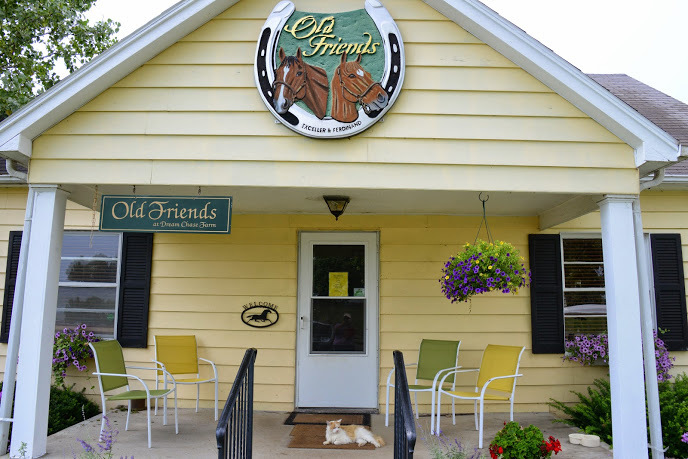 Just in time, since the weather started getting rough, but we all made it back to the office where Buddy was sprawled on the dry front porch to welcome us back. Sounds like a great day! Wish I was there. Lot’s of magic must be there. Thank you so much for sharing this wonderful account of what has to be a banner day for the camera club – and the horses. 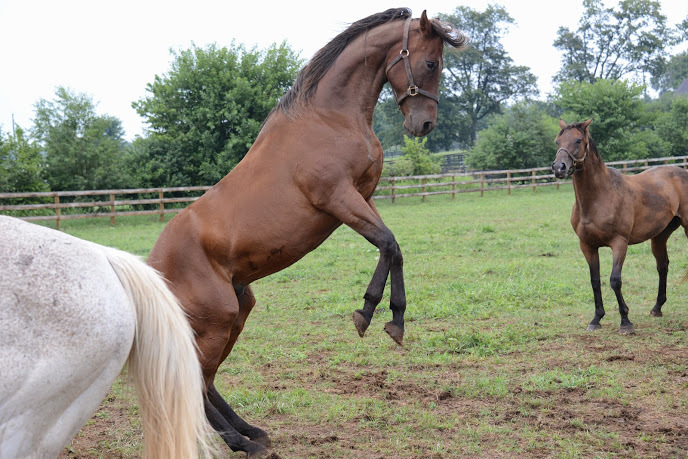 I love taking photos of your wonderful horses now that they can be “just” horses with no pressure. The certainly do remember that they are celebrities and that they are due a large portion of adoration and attention.